THE GOVERNMENT WAS quick to spring into action yesterday, eager not to leave the seat of Minister for Justice, Equality and Defence vacant for too long. Almost 19 hours since Alan Shatter tendered his resignation yesterday, the Taoiseach has announced that the Minister for Children and Youth Affairs Frances Fitzgerald will be taking over the vacant portfolio – at least parts of it. Given the numerous controversies, scandals, inquiries and investigations, it’s not going to be an easy job, so what are her credentials? Her department’s website details that the 63-year-old is married and has three sons in their twenties – an actor, a trainee accountant and a student. Prior to entering politics she trained as a social worker and family therapist, obtaining a B.Soc. Science from UCD and an M.SC. in Social Administration and Social Work from the London School of Economics. She worked with a number of health facilities in Dublin, mainly focusing on families in inner city communities, specialising in adoption and fostering. The public first became familiar with her during her time as Chair of the National Women’s Council of Ireland between 1988 and 1992, before she was first elected to the Dáil in 1992 as a TD for Dublin South-East, a seat vacated by former Taoiseach Garrett Fitzgerald. She took on a role in local politics as a councillor in Rathmines in 1999 until the abolition of dual mandate. Fitzgerald lost her Dáil seat in the 2002 General Election. Fitzgerald returned to Leinster House in 2007 as head the Senead’s Leader of the Opposition. She had failed to be elected in the 2007 General Election, but was then appointed to the Upper House by way of the Labour Panel. After this, Fitzgerald went on to people’s Ireland first Minister for Children and Youth Affairs after the 2011 General Election – a role suited to her given her background and training. She has overseen a number of reforms, including the establishment of the new Child and Family Agency, targeting child protection services with HIQA reports, and launching an Action Plan on Bullying. Fitzgerald also over saw the Children First Bill 2014 which aims to put child protection and welfare guidelines on a statutory footing. A requirement on mandated persons to assist the Agency in the assessment of a child protection risk, if so requested to do so by the Agency. So how will she fit into her now role? The Taoiseach announced this morning that Alan Shatter’s portfolio is to be split. Kenny has taken on the Defence aspect, while Fitzgerald takes over Justice and Equality. 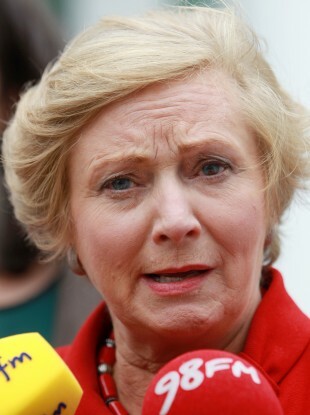 Her former ministry will be taken over by current Fine Gael chairman Charlie Flanagan. Her experience with the Justice portfolio has been limited, having only spent a period on an an Oireacthas Justice committee. However, she is familiar with Equality, and would have been comfortable with Defence, having both those portfolios under her belt during her time as an opposition TD. Fitzgerald served as both Spokesperson on Defence, Social Community and Family Affairs, and also Equality and Family Affairs. Email “Frances Fitzgerald: From social worker to Justice Minister”. Feedback on “Frances Fitzgerald: From social worker to Justice Minister”.